Surround yourself with modern luxury and advanced design in the 2017 Toyota Corolla iM CVT. Arrive with streamlined performance through a five-door exterior and luxurious seating for up to five individuals. Refined efficiency and durable power are brought forward as you take on the day with high expectations. Encounter a marvelous design with the interior of the 2017 Toyota Corolla iM CVT as you engage with a series of luxurious and inviting details. Stay warm through a long Canadian winter with the help of the heated front sport seats as the piano black interior trim accents elevate your surroundings. You are also given a leather wrapped shift knob and a 3-spoke leather-wrapped steering wheel, reminding you of the attention to detail that has gone into every element of the design. Keep everyone happy thanks to the Dual-Zone Automatic Climate Control as it offers an ability to set and maintain two different front temperatures at the same time. 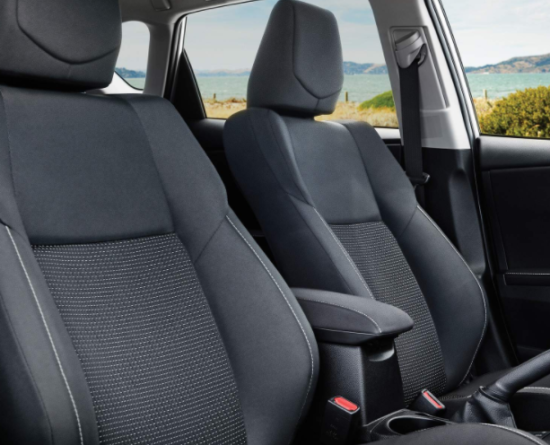 Versatility is found with the 60/40 split-folding rear seats as you make room for everything you need. 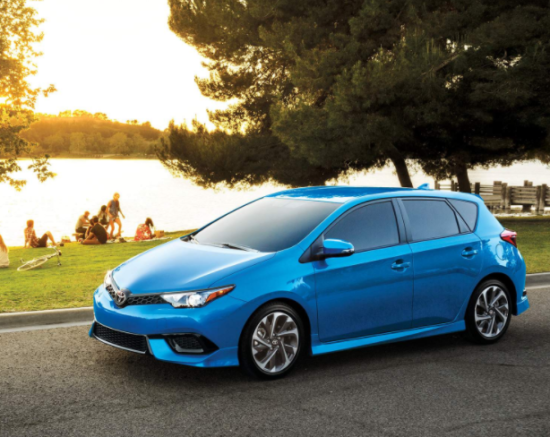 On the outside of the 2017 Toyota Corolla iM CVT, you are given advanced aesthetics and an alluring body profile. Smooth aerodynamics are enhanced through details such as the rear lip spoiler while the halogen headlamps, LED rear tail lamps and LED Daytime Running Lights help to illuminate the road ahead. Furthering your visibility are the power-adjustable heated mirrors as they work to keep themselves free of unwanted ice or debris. 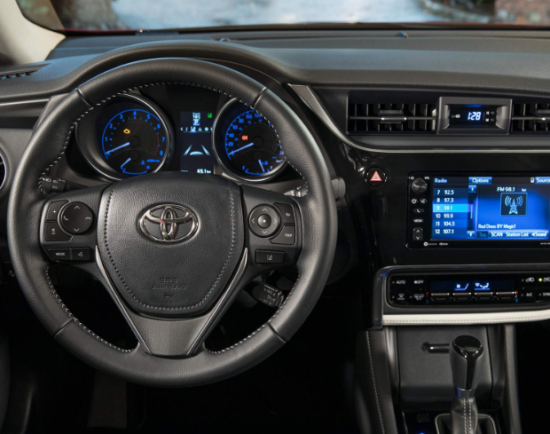 Stay in touch with the outside world as you drive the 2017 Toyota Corolla iM CVT as you connect to the 7″ Touchscreen Display as well as the Aha Audio System. This system delivers advanced Voice Recognition as well as Bluetooth Capability for hands-free access to your compatible devices for calling, messaging, entertainment and more. Express your unique side in the 2017 Toyota Corolla iM CVT as you select from a range of Toyota Genuine Parts & Accessories to enhance the areas of the design that are important to you. Enjoy the all season floor mats for interior protection year round as the cargo liner helps to protect your cargo area from wear and tear. The addition of body-side moulding help to protect your vehicle’s door panels from scratches, dents and chipping as you drive with your head held high. Drive with confidence in the 2017 Toyota Corolla iM CVT as you experience the VALVEMATIC technology of the 1.8L engine. Engage with smooth handling thanks to the help of the electric power steering as the Continuously Variable Transmission with Intelligent Shift delivers an automatic refinement with an available sport mode. -Star Safety System: Vehicle Stability Control, Traction Control, Anti-lock Brake System, Electronic Brake-force Distribution, Brake Assist and Smart Stop Technology. Some conditions may apply. 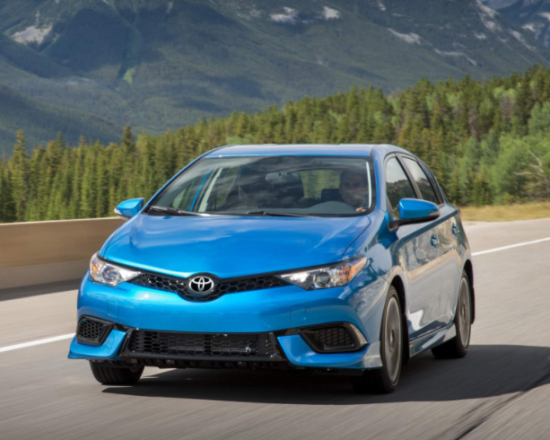 See authorized Toyota dealer for full details in Edmonton, Alberta, Canada. Free your inner wild child with the advanced capability and refined design of the 2017 Toyota Corolla iM CVT. Explore the 2017 Toyota Corolla iM CVT at your local Edmonton Toyota Dealer – Gateway Toyota Scion. We are happy to help as you find the perfect vehicle for you! Gateway Toyota sells and services new and pre-owned Toyota models.